Before leading people through the heavy metal doors and into the vertical farm Irving Fain has recently opened in a warehouse in Kearny, New Jersey, he asks visitors to take off their jewelry. He hands them a disposable jumpsuit and a hairnet to put on; bright blue sleeves must be slipped on over shoes. “It’s about protecting the integrity of the environment,” Fain says. 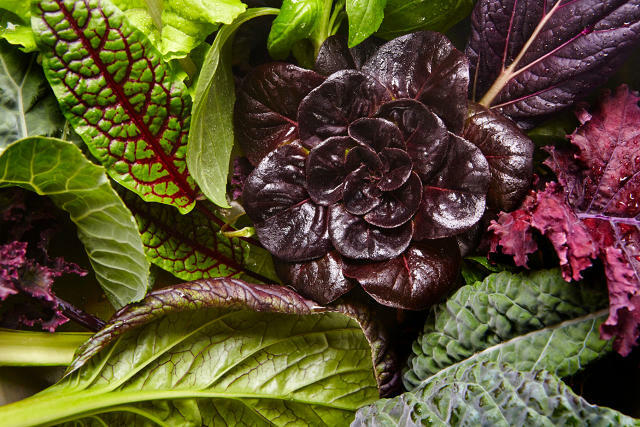 Jewelry could fall off and into the beds of leafy greens; shoes and clothes could track in unknown germs. For Bowery—the farm that Fain, a former marketing entrepreneur, first conceived of two years ago—contamination is a particular concern. Bowery is growing what it calls “the world’s first post-organic produce,” meaning that all of the leafy greens in the warehouse—which range from kale to Thai basil to wasabi arugula—are grown completely without pesticides, and completely under the control of a comprehensive, proprietary operating system that oversees the entire growing process. “We fully own our process from seed to store,” Fain says—the “post-organic” designation derives from the fact that the founders view Bowery’s farming and tech integration as the next frontier in agriculture. Though the startup doesn’t release exact capacity or operating cost figures, Bowery estimates that it is 100 times more productive on the same plot of land than traditional farms. Bowery, like many other vertical farms (like one that also recently opened in New Jersey) bypasses the use of chemicals entirely. 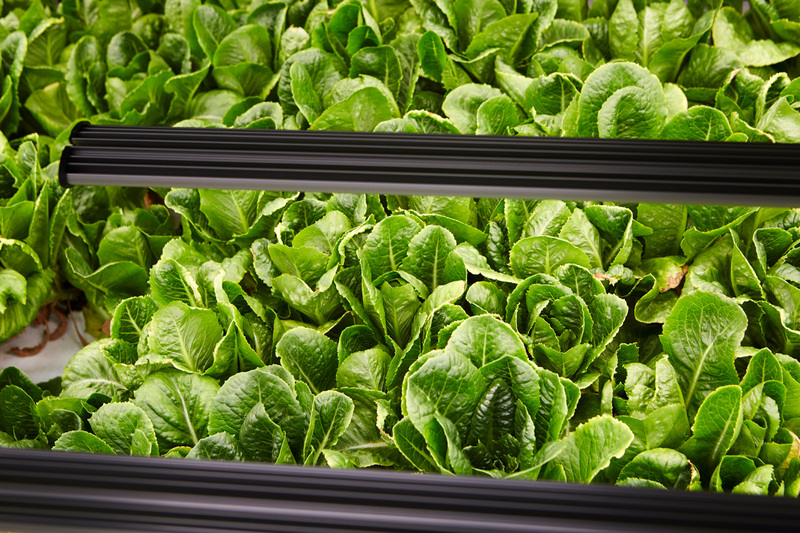 Inside the warehouse, greens are grown in vertical columns stacked five high; LED lights deliver a full spectrum of light mimicking the sun, and because the water is delivered efficiently and recycled, Bowery requires 95% less water than traditional agriculture. Because the environment has to be carefully controlled to minimize threats of food-borne illnesses, Bowery complies with the highest standards of food safety protocols, including Hazard Analysis Critical Control Points, which ensures safety at every step of the growing and delivery process. “It doesn’t take much to see that agriculture is at the epicenter of so many issues facing the world today,” Fain tells Co.Exist. Around 70% of the world’s water supply goes to agriculture, and on top of the fact that nearly 11% of the world’s population struggles with access to food, we’ll likely need 50% to 70% more food to feed the 9.5 billion people estimated to be on the planet by 2050. Most of that population growth will happen in cities, and Fain says he was drawn to figuring out how to provide fresh food to urban environments in a way that’s efficient and sustainable. With his two cofounders David Golden and Brian Falther, who also have experience in the business and tech worlds, they “dove in and approached the issue from the standpoint of: What’s the best technology we can use to solve this problem?” Fain says. Indoor and vertical farming are not new concepts—a robot-run indoor farm in Kyoto, Japan, that recently opened will produce around 10 million heads of lettuce per year, and a warehouse in Alaska houses a vertical farm that delivers leafy greens to a region that struggles with access to fresh produce. But Bowery, Fain says, is taking it a step further with its proprietary technology, developed specifically to support the venture. 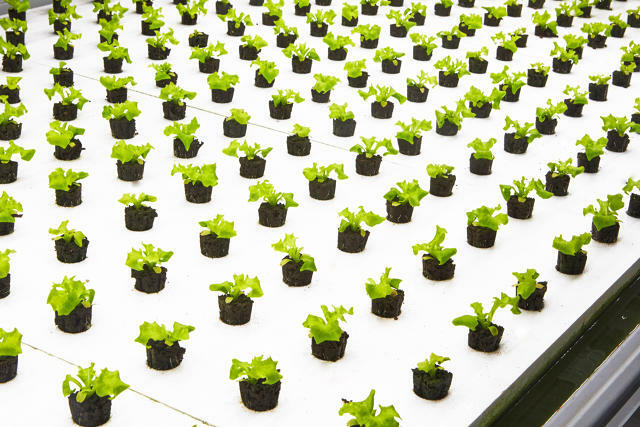 Called FarmOS, the fully integrated technology system uses machine learning and vision to understand and respond to all the variables that go into how the plants are grown. The sensors installed all around the farm track the optimal levels of light and nutrients for each variety of produce, which can be adjusted to effect things like taste and flavor (Fain says that the way the system is manipulated can ramp up or diminish the wasabi-like kick of a certain type of arugula grown in the farm). To date, Bowery has raised $7.5 million; First Round Capital provided the first round of seed funding, and a variety of food-industry professionals, from Blue Apron CEO Matt Salzberg to Plated chairman Sally Robling, are on board as angel investors. Though the Bowery venture is just getting off the ground, Fain sees a lot of potential for his model to do a great deal of good. The efficiency of Bowery’s technology enables the startup to sell produce at prices comparable to traditionally grown crops, and Fain hopes to be able to drive the prices down further as the company grows. He also says that he and his founders are looking into developing a charitable arm to the startup—in New York City, where more than 16% of residents are food insecure and lack access to good-quality produce, Bowery could fill a real need.